Why Buy A Process Pump When You Can Buy A True Fire Pump? Although they appear to be doing the same thing, there is a major difference in performance and flexibility between traditional industrial process pumps and a truly dedicated fire pump. 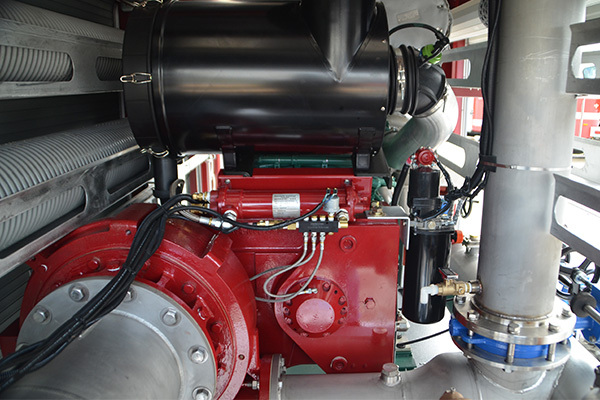 The High Velocity Pump (HVP) is the premiere fire pump solution that out performs process pumps on every level and is changing the industrial firefighting industry. There are many drawbacks to using a process pump for industrial firefighting. Process pumps are designed specifically to operate with a fixed flow and pressure entering the pump intake, then adding the power from the drive source at 1750 rpms to produce a fixed flow at a higher pressure coming out of the discharge. Lift is a problem for process pumps as well because in a normal industrial plant setting, there is no drafting. If a fluid must be raised from a source they would use a vertical turbine pump with the pump head submerged under the water. 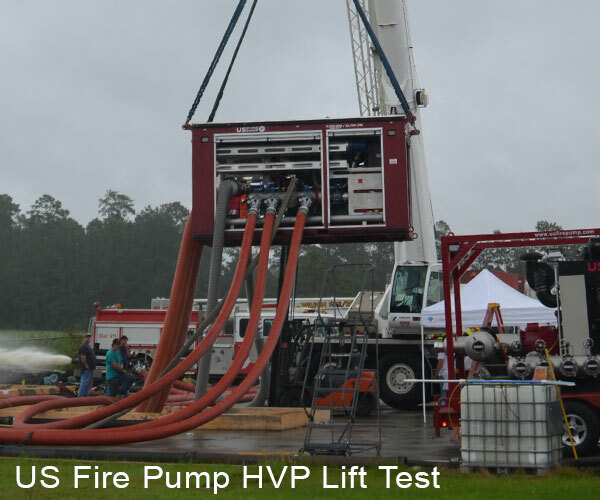 The HVP fire pump is different because it is designed to provide smooth and even output while operating from lifts of over 20 feet to pressurized intake supplied over 175psi and everything in-between, while flowing from 5% to 150% of the rated capacity with pressures ranging from 90 to 250psi. 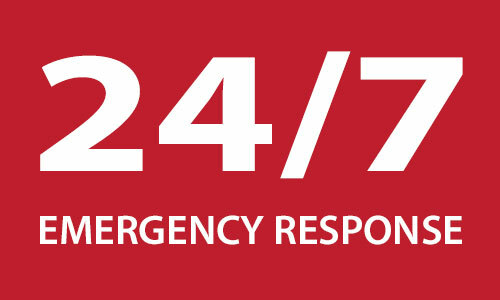 This wide range of performance under a wide variety of suction conditions is required to give the fireman the flexibility needed to cover all the emergency conditions they could encounter. 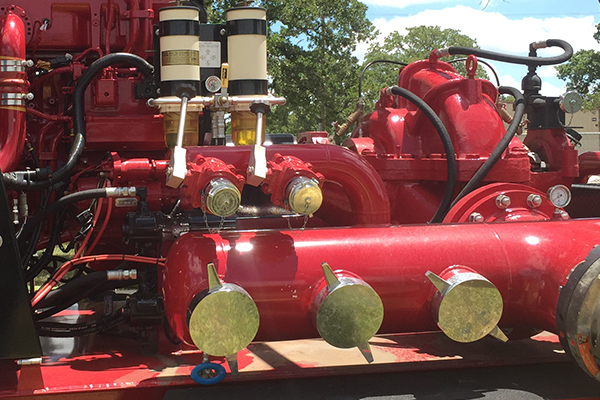 Process pumps are a poor choice when being used in any type of mobile firefighting application. Not only are process pumps missing out on maximum flow potential due to bad pump layout, but they also have a larger impeller, increased package size, and inefficient suction intake designs. Some people may be skeptical about the performance capabilities of the High Velocity Pump and the equipment it is installed in. No worries, read this UL verification report and see for yourself how our products perform under third party testing.